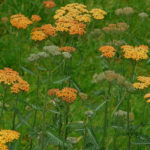 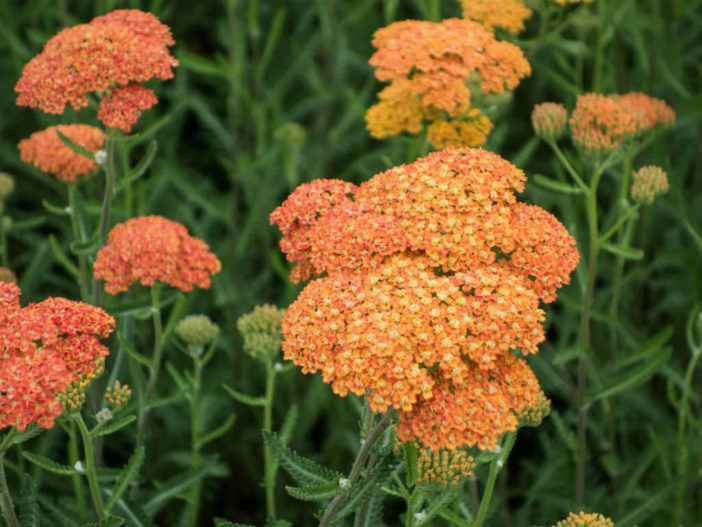 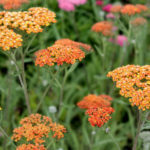 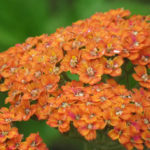 Achillea millefolium ‘Terracotta’ is a herbaceous perennial with peachy yellow flower heads when they first bloom, but gradually mature to a coppery bronze. 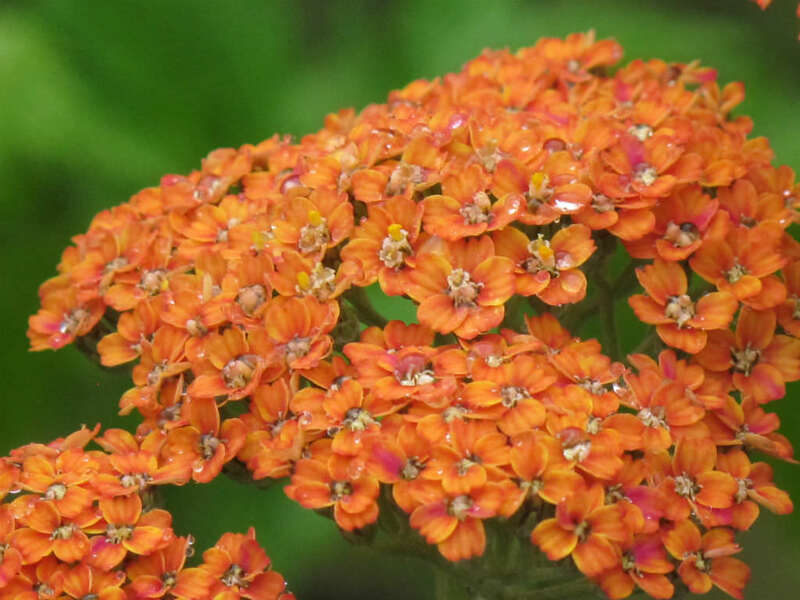 Tiny flowers are densely packed in large, flat-topped, terminal flower clusters up to 4 inches (10 cm) across. 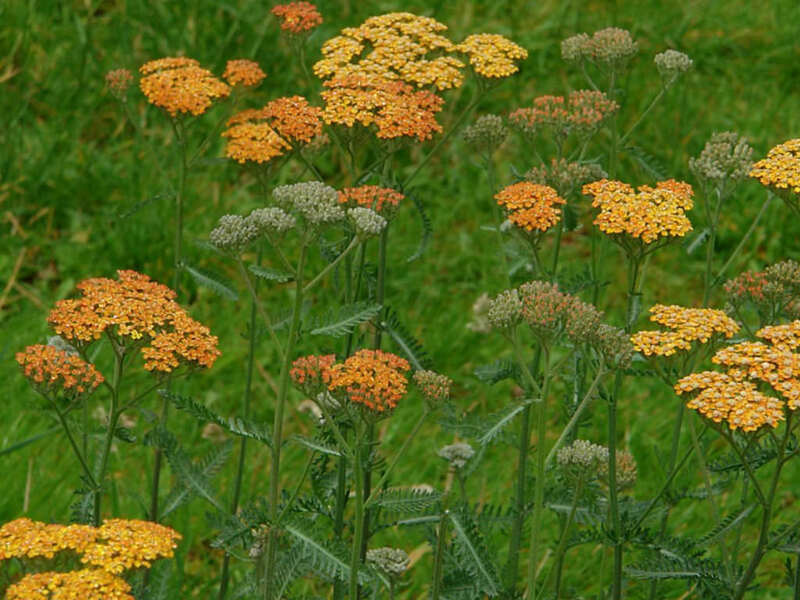 Green leaves are deeply-cut, fern-like and aromatic when crushed. 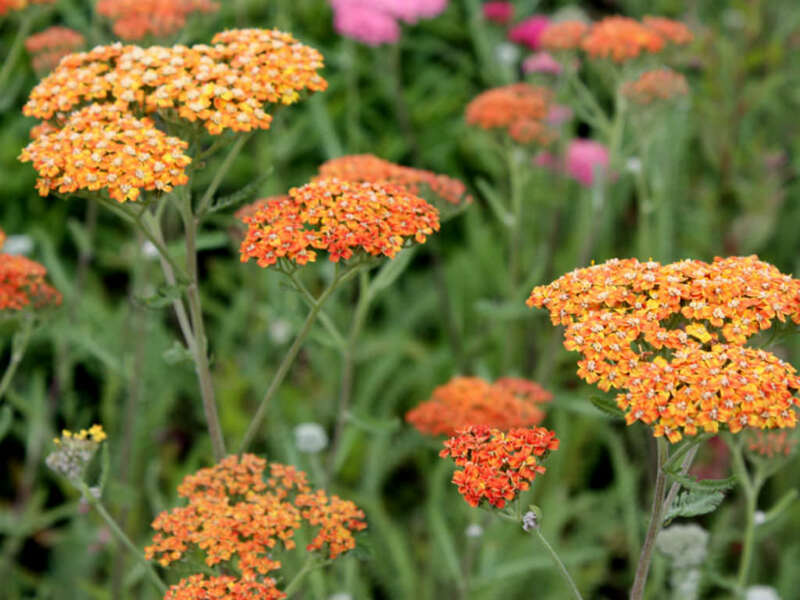 Long summer bloom period may be prolonged by prompt removal of faded flower heads.